Craig joined the team in 2018 from a very reputable Hull based engineering company. A&E Woodward is proud to introduce Craig to our existing and perspective customer base as we increase to nationwide coverage of on and off site marine engineering, maintenance and installation. Adam joined the firm in 2007 after leaving school and entering his apprenticeship. 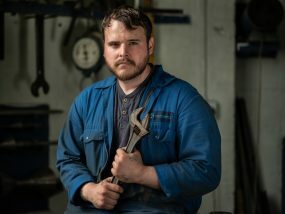 Like Alan, Adam has a nurtured his reputation for excellence and has developed a keen eye for perfection, applying modern thinking to tackle traditional work. 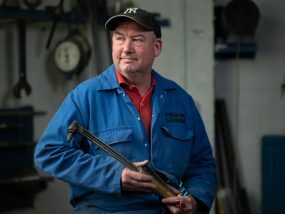 Mick has many years of precision machining experience under his belt and joined the company in 2008, he is highly skilled on manual machines as well as being an experienced CNC programmer, his attention to detail coupled with his in depth knowledge of marine applications makes him an irreplaceable asset to the business. 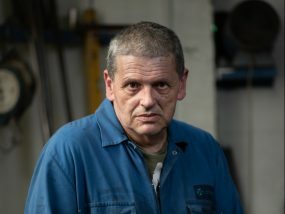 Alan has worked for the company since 1990 during which time his eye for perfect results has become very well respected in the marine industry, Alan is the head of the Propeller department at A&E Woodward and passes his skills down to our next generation of Propeller Craftsman. 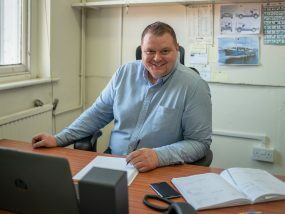 Lee holds a vast amount of marine engineering knowledge, joining the company in 2013, his quick diagnosis of faults and provision of solutions thereafter is key to minimising client downtime. 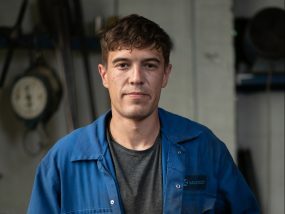 John joined the company`s mechanical engineering division in 2011, since starting with us John has developed the skills to cater for clients individual needs and is often the source of repeat work. 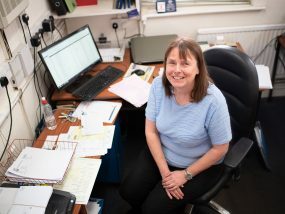 Maria controls the daily running of the office; from providing quotes through to creation of invoice and arranging delivery, her knowledge of engine spares, propellers and stern gear is truly impressive. For technical advice, arrangement of callouts and booking in props for urgent repair, Maria is the first point of contact. Having said that, we have upgraded the employee welfare facilities, overhauled Health and Safety arrangements and given the place a clean lick of paint. Aside form that its business as usual, as it has been for over 100 years!